Travel and Tourism of Bangladesh is a naturally beautiful revering country of South Asia bordering India and Myanmar with a coastline of 710km north of Bay of Bengal. It is a tropical monsoon climate country with high rainfall and medium temperature. But climate is tropical with mild winter from October to March. This is the best time to visit Bangladesh. Travel and Tourism of Bangladesh rich in many ways. The culture of Bangladesh has a long history with Bengali people and their religious practices like Islam, Hinduism, Jainism, Buddhism and Christianity. The culture is rich in various fields like music, dance, drama, folklore, art, language, craft, literature, festivals, region with cuisine & culinary tradition. Bangladesh travel and tourism industries richest with many Archaeological places, Beaches & Islands, Forest & Jungle, Hilly areas, Historical places, Religious places, River and water falls as well as tribal people. On arrival visa for the people of European Union, Australia, Bahrain, Canada, China, Japan, Kuwait, Russia, Malaysia, Oman, Qatar, Saudi Arabia, Singapore, New Zealand, South Korea, United States, United Arab Emirates to boost tourism of the country. All most every foreigner needs visa to visit Bangladesh. Visa is issued by Bangladesh mission all over the world. On Arrival visa is given to citizen of few countries. During stay in Bangladesh if any foreigner wants to extend visa they should contact at the Department of Immigration and Passport of Bangladesh. – Check your passport is valid and will not be expired while you are in Bangladesh. – Do not give or handover your passport without legal authority. – Keep passport with you always. If you visit any shopping mall or friend make sure that your passport in a safe place. Keep close attention to your passport. – Make 2 photocopies of your passport; leave one in your house or permanent address, one inside your bag or suitcase. If you lose your passport you must show the photocopy for the identification. – Scan your all travel documents and send to your own email for future record and use if need. – If you lost your passport, immediately inform the local Police and contact with your embassy located in the country where you are visiting. – Make a budget on your Bangladesh tour, though products or services is not so costly and take enough cash in Traveller Checks or Master Card. You should have local currency – “Taka” while you are outside the Dhaka city because traveller checks and master card is not accepted in the local shopping center or any other purpose. – Keep Credit card, currency and other documents in a safe place. – Make a tour plan and try to know local people and culture before visit the place. – Bring your telephone index or mobile phone to have current contact list with you. – Check the weather condition of the destinations in Bangladesh. – During visit in Bangladesh avoid crowded places. – Better to have a friend with you or hire a local tourist guide to assist. – If you go to any shopping center to buy any local product, ask the Sales Man to let you know fixed price. – Do not use local crowded transport. If you like to journey by bus inside the city, buy a ticket from the ticket counter. Near around you, “Rickshow” is a good choice as a traditional transport. – Lock your room properly if you go to outside. Have a nice visit to Bangladesh. Tourism Dhaka: There are many tourism attractive in Dhaka like Ahsan Monjil, Lalbagh Port, National Assembly building, National Memorial, Shaheed Minar, Carzon Hall, Replica of Taj Mahal in Sonargaon, etc. part of Tourism Dhaka that a tourist can visit 2/3 places in a day around Dhaka. Tourism Rajshahi: Beautiful and ancient places are Puthia temple, ancient Mahasthangarh, buddhist monastery Paharpur, terracota Kantaji Temple and zamindars rajbaris and more. These places have significant Tourism rich element for traveller those made tourism sector of Bangladesh more attractive. Tourism Khulna: Mangrove forest Sundarbans, Royal Bengal Tiger, Kuakata beach for sunrise and sunset, Sixty domed mosque, etc. Tourism development of these areas is standard and foreigner can visit and stay here comfortably. 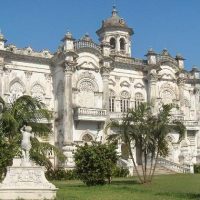 Tourism Chittagong: Another most important travel and tourism place is Chittagong division. 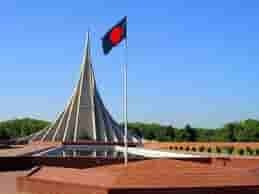 Places are Chittagong Hill Tracks, world longest sandy sea beach, St. Martin Island, 2nd world War Cemetery, Mainamati in Comilla, Foys lake, etc. 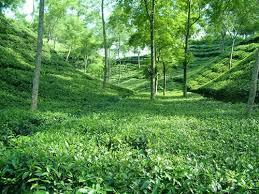 Tourism Sylhet: One of the best travelling place with Green tea garden, natural forest, water fall, etc. Cox’s Bazar is one of the most beautiful tourist spots & the longest sea beach in the world, total approx. 120 km long, localted in Cox’s Bazar district of Bangladesh. It is also Tourism capital of Bangladesh. The beauty of the sun sets behind the waves of the sea is simply captivating. 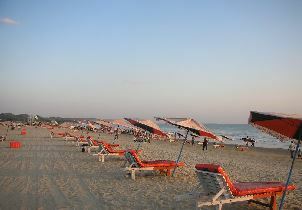 Every year lots of foreign & local tourist come here to spend their leisure in Cox’s Bazar. are the largest mangrove forest in the world, located in Khulna district of Bangladesh. The Sundarbans cover an area of 38,500 square kilometer of which about 1/3 (one-third) is covered with water. From 1966 the forest Sundarbans have been a wildlife sanctuary and now in the Sundarbans ony 400 Royal Bengal tigers and approx. 30,000 spotted Deer and many kinds of wild animals and birds are linving in the area also another attraction of this area tourism. They are famous historical and archeological places near Comilla. Here series of hillocks exist, where the North side is called Moinamoti and the South side is called Lalmai; And in the middle Shalbon Bihar is situated. which the was established in 8th century by King Buddadev. Wonderful tourism of hilly area ask tourist to visit this place again and again. 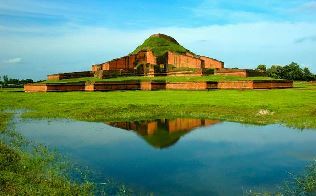 Truism of Bangladesh is full of gifts of nature with ancient historical places. 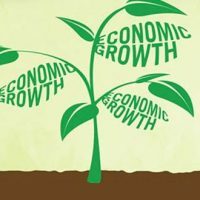 Government and private entrepreneur have taken lot of plans to earn foreign currency from the tourism industry. 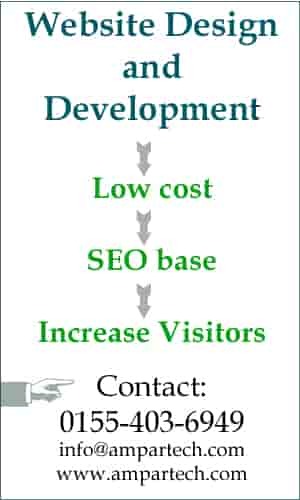 Tourism related infrastructure development is one of the main importance areas. One day Bangladesh tourism industry will be one of the foreign currency earning sectors. Tourism of Bangladesh really different from any other area of the world. After visiting different tourism areas tourist says WOW, I will visit Bangladesh again.